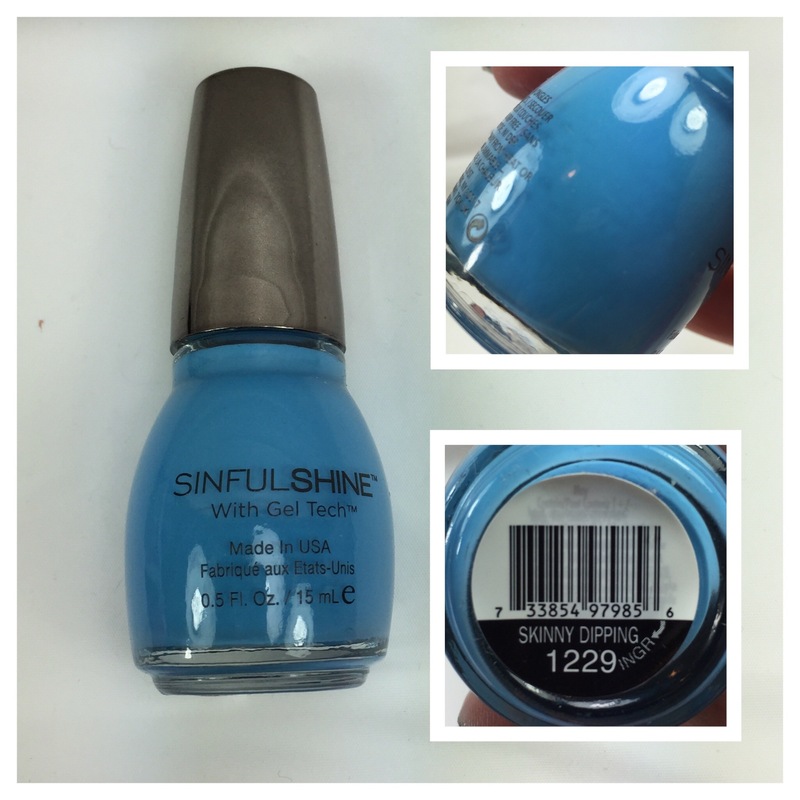 While doing some research today for this blog post I was surprised to find that the original release of the Sinful Colors SinfulShine collection had a very short life before being discontinued from Walgreen’s. They were first released early 2013 and by September 2014 the display was already being discontinued from Walgreen’s. Wow! Thankfully Walmart started carrying a “reformulated” SinfulShine and we once again started seeing smaller limited edition collections come back to Walgreen’s. The original formula was listed as “more glossy than patent leather and no curing lamp needed”. There were 32 colors in the original release and the price point for these polishes were 2.99 which was a 1.00 more than the original Sinful Colors. When these polishes first came out I told myself I would not be buying them because of the price. Well fast forward to today and I have 12 of the 32 original colors. SMH. In my defense I did purchase most on clearance. I was even able to snag the original display last year from Walgreen’s long after the polishes were discontinued. Okay, lets talk about the actual polish. Skinny Dipping is a new acquisition to me. Purchased from someone in my Sinful Colors FB group. I would describe it as a light-medium blue. The formula is pretty good and the only issue I had was a little pulling at the tips even after two coats. The third coat took care of the bald spot due to pulling but I could have played with the polish around the tips to avoid that third coat. This is definitely a creme polish and does have that patent leather look. I used Seche Vite for a top coat.